With its romantic gardens and salvaged follies, its fast flowing river and voluptuous loughs, it’s mountains and bogs and battle-scarred castles that conjure up images of struggle and gore, the Midlands are far from a place to pass on by. If you decide to stay on the motorway, in a hurry to get to Ireland’s popular coastline, you’ll miss out on some of the bewitching medieval history, varied landscape and ancient mythology that the magical Midlands has to offer. 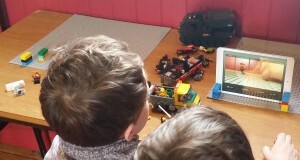 Often overlooked as a place to explore, having recently spent a weekend in Cloughjordan in Tipperary and now another in and around Birr in County Offaly, I hope the following eight ideas for things to do away from Ireland’s coastline will entice you to spend a bit more time in mid Ireland. The passion and excitement for these places from the people who work at or own them was palpable and their willingness to share their stories and improve their community, cheering. Last time I visited Bellefield House was for one of Angela Jupe’s annual rare plant sales and to give my first talk on growing vegetables. Since then, as a now retired but inspired landscape designer and architect, Angela has made several changes. 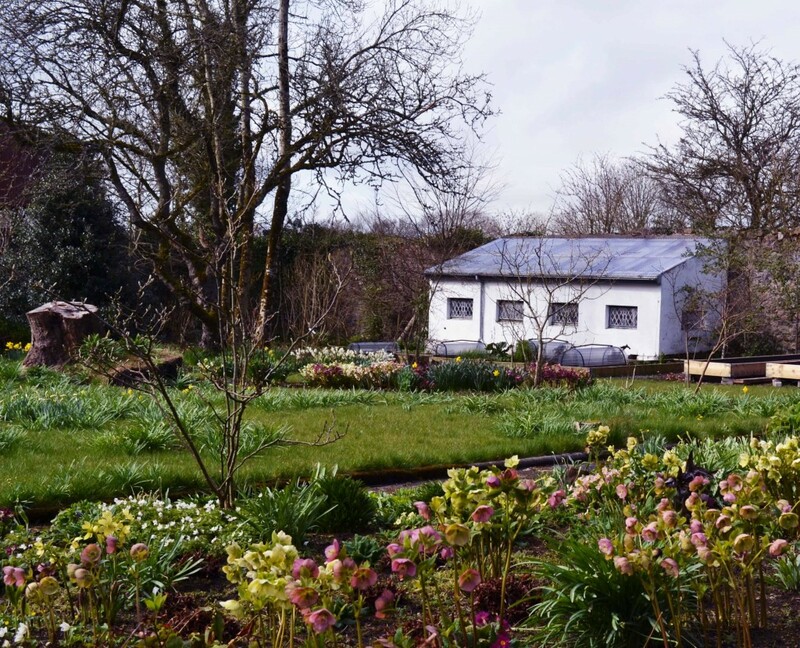 Not only is her walled garden full of rare and unusual bulbs, she’s transformed the old coach houses, making them available for holiday rentals, introduced a new water feature and is still making improvements and additions to her Georgian home and rediscovered gardens. If you are looking for some garden inspiration of your own, it’s no coincidence that Bellefield is top of this list. Angela is a skilled plantswoman who has a keen eye for antiques and bargains which you’ll find carefully placed throughout her home and garden. 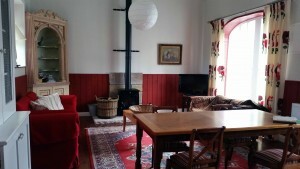 See angelajupe.ie for more information or take a look at Catherine’s post over at Foxglove Lane for some beautiful images of the gardens and house. Ian and I took on a rural farmhouse renovation 15 years ago that pales into insignificance compared to the water-mill restoration at Fancroft. Owners Marcus and Irene Sweeney knew that if they didn’t step in to rescue the crumbling building, it would be lost to future generations forever. 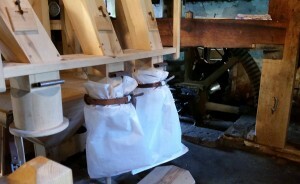 Although from a milling background, Marcus had no previous knowledge of the workings of the old mills but began to research and rebuild the old water-mill piece by piece. Now in full working order, the giant wheel isn’t turning for commercial reasons, but it does power the superbly crafted milling equipment and supplies the buildings with power, making this an achievement to be proud of. By coincidence the Sweeney’s bought their house from earlier occupier, Angela Jupe and in doing so inherited her carefully landscaped gardens. With box hedging pathways, a fruit orchard, cold frames to die for and a summer-house that sits at the end of a diverted stream, this is another garden to add to the Magical Midlands treasure tour. Offering guided tours as well as tea, you can find more about Fancroft Mill here. If you’re a fan of Downtown Abbey, a trip to Birr Castle with its tales of Earls and Countesses and a guided tour through four of its magnificent rooms that contain secret doors and passageways, will leave you enthralled. Apart from a vast collection of rare trees and shrubs, the castle grounds are also home to a science centre containing a historical collection of astronomical instruments and photography equipment, as well as what was once the largest telescope in the world. 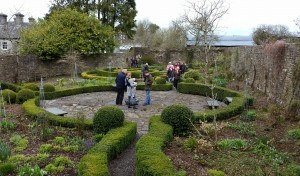 The 50 hectare gardens are extensive but Birr Castle and Demesne isn’t just for the adults. The play area houses one of the largest ground level trampolines I’ve ever seen and even the mouths of my teens dropped when I showed them the photos of the fairytale tree house. 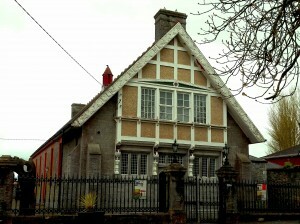 With a tea room and gift shop it would be easy to spend several hours in this family estate. We weren’t allowed to take photos inside the castle which perhaps made our invitation to look around even more of a privilege, particularly as the current occupants are still in residence. Details of opening hours and fees can be found here. 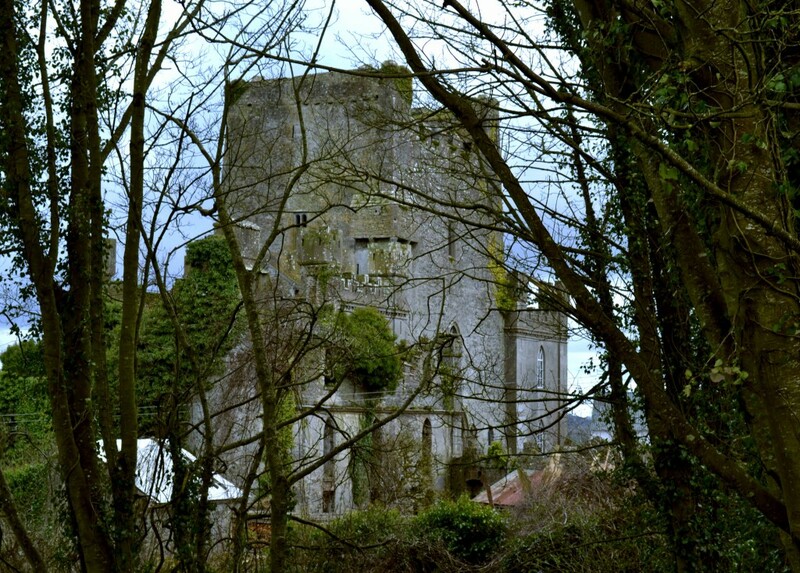 What Birr Castle has in grandeur, Leap Castle has in ruins and mystery. Dating back to 1250 AD and taken on as an ambitious renovation project by proprietor Sean Ryan, it’s now known as the most haunted castle in Ireland. Having climbed the uneven steps to the empty bloody chapel up in the rooftop, where we were told tales of feuding and murder on the altar, it’s easy to imagine. The O’Connors were a fierce, hunting clan who didn’t suffer fools gladly, throwing them into a pit full of spikes if they were displeased, leading to a gory end. Our guide warned us to keep an eye out for orbs and putrid smells, perhaps emanating from the souls of the 40 or so neighbouring clan members that were poisoned in the castle many years ago, killed to avoid paying them for their services. I’m glad to say we didn’t see, hear or smell anything untoward, though perhaps Game of Thrones isn’t such the fantasy tale I thought it was! It was with a slight sense of relief that we returned to the main hall, even dimly lit by its warming fire among long tables, candelabra, statues and memorabilia, before we headed out once more to the warm sunshine and sounds of birdsong. If you’d like to visit Leap Castle and be enthralled by Sean’s tales, telephone + 353 86 8690547 to arrange a mutually convenient time. 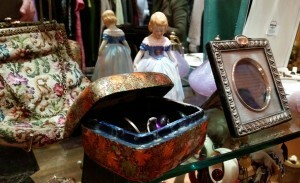 If your curiosity is peaked by the salvaged antiques in the previous three houses, you have an opportunity to buy your own at Memory Lane Antiques. One of the easier ways to start to be ‘green’ is to reuse and up cycle and it’s difficult to choose just one favourite item from the thousands of previously owned goods in Purcell Antiques and Memory Lane. 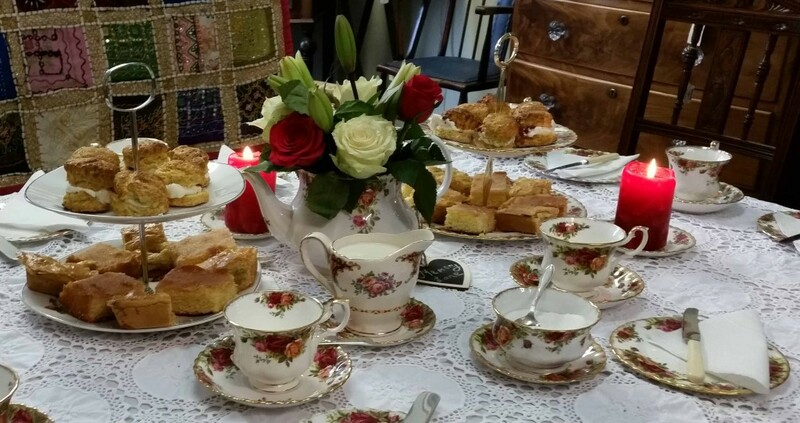 From clothing to collectables, furniture to jewellery and bone china, it’s easy to while away a couple of hours in this charming little shop and the perfect place to visit on a rainy day. If you’re tempted to take a look inside, keep an eye out for the cream teas that may well be introduced in the future by Conor and Breda and put your name on their mailing list for the regular auctions that can be viewed online as and when they occur. Lough Boora is a cutaway area in the midst of Bord na Mona’s operations in the midlands. After some intensive production years, it has now been allowed to rest, giving an opportunity for nature to recolonise and us to explore with over 50 kilometres of trails created in this natural environment. The area was once cherished by Mesolithic tribes, but more recently harvested for peat on an industrial scale, supplying over 1 million tonnes a year to Irish homes and business’. 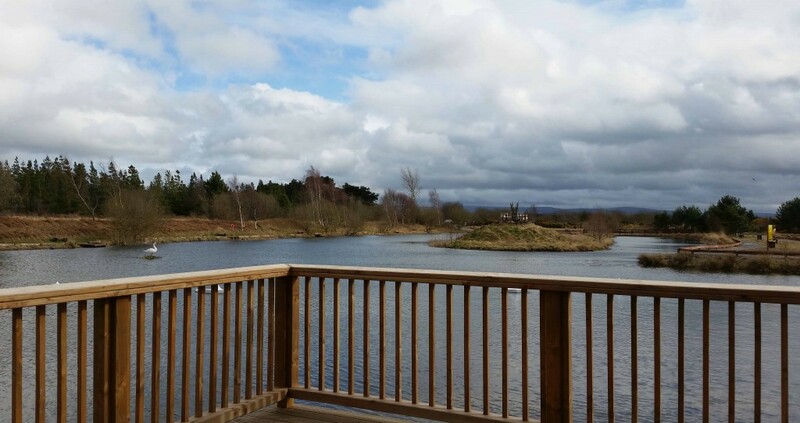 In this new stage of it’s life, Lough Boora is being promoted as an ecotourism destination that has become a haven for plants, birds and animals. With tea rooms on site and several trails meandering through the parkland, visitors can explore the sculpture, Mesolithic, farmland or lake trails on foot, or on bicycles that are available to hire for a small fee. You can find more about Lough Boora and all it has to offer here or take a look at Purity Bell Candles post where Cliona shares images of some of the sculptures she found on the trail. Chugging along a river in a cruiser can’t really be considered ‘green’ in any sense of the word that I can think of given the diesel it uses, it is however a wonderful way to unwind and slow down in this mad world we now inhabit. When we can find opportunities to spend a few hours of peace by the river, watching nature at her, it’s tremendously good for our mental health. Perhaps it’s just me but being from an island race, water seems to talk to my soul and there’s something relaxing yet invigorating about spending time on it. The River Shannon is the longest river in Ireland that splits the west from the south and the east, travelling through ten counties. 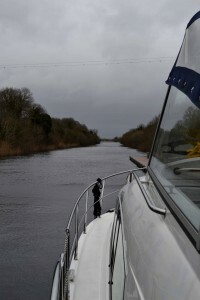 If you’re interested in spending three nights or more cruising along The Shannon, experiencing a quiet break away from the hustle and bustle, Barbara and Robert at Silverline Cruisers are the people to talk to. They have a fleet of very smart cruisers that, after some basic tuition, will give you the opportunity to cruise away on your own and experience a relaxing holiday with a difference. Brookfield Farm specialises in selling artisan food direct to the customer and no better woman to run it than host of the All Ireland Permaculture Gathering in 2014, Ailbhe Gerrard, a passionate organic farmer and advocate of sustainable development. 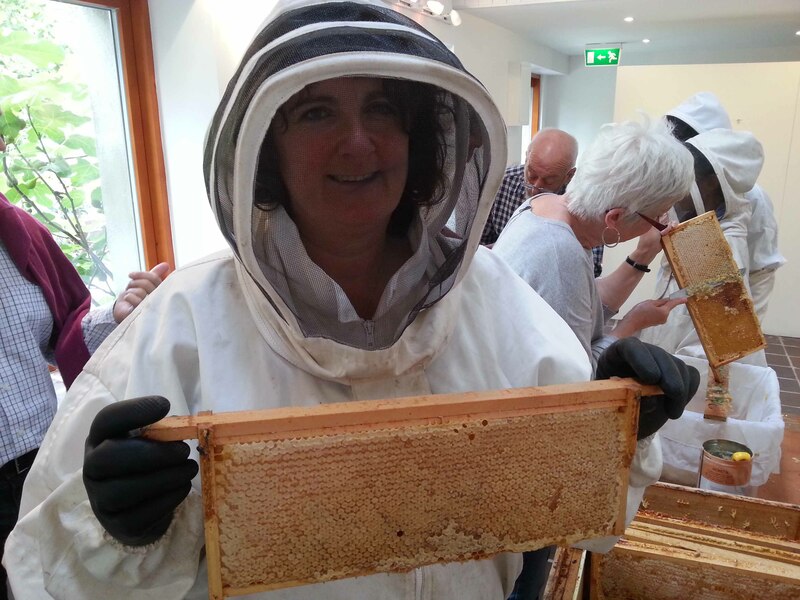 Apart from selling their own lamb and honey and beeswax products, Brookfield Farm have come up with an innovative offering, by selling shares in beehives kept at their apiary. Customers can buy an annual share of between an 1/8th to a full bee hive, that Brookfield will manage, giving anyone the opportunity to experience the rewards of being a beekeeper without the cost or having to acquire all the knowledge it takes to own one themselves. 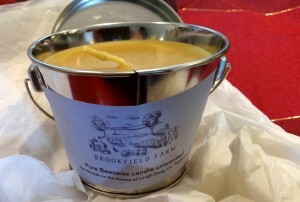 At harvest time shareholders are invited to visit their hives and help to collect the honey as well as take home a selection of beeswax candles. As a working farm visitors aren’t able to drop in but events are held at Brookfield throughout the year. For more information on events sign up for Brookfield Farm’s newsletter and take a look at their website where you can buy all the items mentioned online. After all the activities above you’ll need to relax and recover for a few hours and what better way than by spending a night in the theatre. The delightful Birr theatre was built in 1888 but over the years fell into disrepair until 15 years ago when it underwent a major renovation project that was sensitively carried out, ensuring that the original sprung floor could stay. There’s a strong community feel within the theatre, both in terms of the project that allowed it to open up once more and within it’s walls, were people of all ages are encouraged to take part. Artwork from local schools adorned the entrance hall walls and children were attending a weekly animation workshop while we were visiting. With plays, musicals, comedies and film available throughout the year and very keenly priced to attract all ages in it’s 200 seat auditorium, the theatre offers a change from the more traditional nights in the pub usually associated with a night out in Ireland. For more information about Birr Theatre’s history and programme, take a look at their website here. As well as my recent stay in DJango’s Hostel in Cloughjordan linked at the beginning of this post and not forgetting Bellefield House holiday cottages where I’d love to bed down for a few nights, I’ve stayed in two places in and close to Birr and can highly recommend them both. 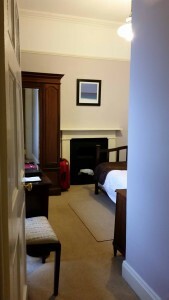 Townsend House in Birr centre offers clean rooms with a bed covered in the cosiest duvet I’ve ever had the pleasure to snuggle under! Owners Martin and Lorraine, like many small business owners, multitask as doormen, bar and kitchen staff and I’m sure a multitude of other jobs. I wish I’d taken the time to look at their mature gardens but was grateful of the tiny courtyard for it’s secure parking, the free WiFi and if I had kids in tow, my two roomed family accommodation would have been perfect. The adjoining Townsend House Tapas Bar was hot and tasty, the atmosphere congenial and the locally brewed Bo Bristle, a welcome treat after a busy day sightseeing. Oldfarm at Redwood offer AirBnB in their farmhouse where clean linen and fresh, free range, GMO free pork and eggs can be guaranteed. Evening meals are optional but recommended as both Alfie and Margaret are great cooks and if you have an opportunity, ask for Alfie’s pork burgers which we tasted at the Townsend House, they’re delicious. You can find a variation of their recipe on Oldfarm’s website here. We ate a picnic supplied by Le Bouchon Restaurant in Portumna which was made with salads and their own pesto and dressings, as well as a red onion and Killeen cheese topping. I confess to having seconds and hope that I have the chance to eat inside their restaurant one day and sample more of their menu. It was with thanks to the invitation from Mid Ireland Tourism that I was able to visit and experience so many places during the course of this short trip, enabling me to share more Irish treasures with you, and thanks to Margaret for organising it so well. If you’d like to read some different accounts of the places I’ve mentioned or food tasters I may have missed, or perhaps look at the beautiful images taken by gifted photographic bloggers who accompanied us such as Miss Foodwise, you can find links on A Year in Redwood #magicalmidlands blog post here. If you’re feeling inspired to visit or can recommend any other places in the Magical Midlands, I’d love to hear about them. I’ve spent quite a lot of time in Birr Castle lately but mostly around the science centre and have yet to walk the full way around the gardens. I had 18 teachers on a science course 2 years ago launching paper helicopters and parachutes from the tree house which was great fun but unfortunately I didn’t get to have a climb myself or a bounce on the trampoline. Lough Boora has been on my list of places to visit for a few years but I haven’t got there yet. Maybe this year! Wow Dee now that’s what I call a magical trip. Afternoon tea from fine bone china cups and a visit to Fancroft Mill would keep me more than happy 🙂 I have met Marcus and Irene on several of the Mills and Millers of Ireland events over the years. The next event is actually next week the 18th April where we’ll be visiting mills in East Waterford. They are truly mill enthusiasts and so lucky to be the owners of the beautiful Fancroft Mill. Great blog by the way! I’m really looking forward to exploring more of the Midlands now – especially Birr Castle and Lough Boora, it’s really not that far from anywhere in Ireland either.